Looking for a locksmith in Newcastle is harder than you might think. Not because of the lack of locksmiths, no – it’s because it is extremely hard to find a locksmith you can trust. Because anyone can promote themselves as a locksmith, as bizarrely the locksmith industry is one of the few remaining sectors that remain unregulated. When you’re looking to let someone into your home, you want to make sure that it is someone you can trust and when it comes to tradespeople specifically, you want to know that they’ll be able to do the job you need them to do! There’s a lot of great locksmiths out there, but there’s also a few not so good ones – so it’s important to do your research. If you’re looking for someone to change or replace your locks in Ponteland for example, you need to find someone who is not only local but whom you can rely on to do the best job possible. In this post, we’ve provided some of our top tips for finding a local, trusted and capable locksmith! Searching for a locksmith in your local area is key. Whether you live in Gosforth, Cramlington or Morpeth, find a locksmith who is based and available to serve your area. This is an important point as firstly you know that they’re located near to you so can reach you quickly, and secondly, it provides you with the opportunity to double check that they have a permanent address, a registered office. Check phone numbers. This may seem a little strange, but it’s important to check if the number advertised is a national number or a local one. Its preferred to use local numbers as often national call centres will only be sub-contracting the work out to local locksmiths anywhere – charging a lot more for the same service as well as not checking these “local locksmiths” to make sure they’re 100% reliable! Top Tip: Hiring local locksmith, Tyne Tees Locks, means you have access to our emergency locksmith service where we will be with you within 30 minutes of your initial call! The number of review sites has increased over the years to provide customers with a place to vent and praise their experiences and purchases. These have become an important element when it comes to customers decision making, and it’s always worth checking review sites as well as testimonials about the locksmith you’re potentially looking to use. Most recommendations come from family, friends, and colleagues. These are the ones we trust the most as these recommendations tend to be from those who have experienced a particular service first hand. We also advise that you check Facebook and Twitter too, as every experience that ever happens is usually posted on social media! Top Tip: Check out Tyne Tees Locks 5 Star Independent Reviews! Look out for a specialist locksmith. The key is to look for what you need. For example, are you looking for an auto locksmith in Ashington or a UPVC specialist locksmith in Hexham? It’s important as part of your search and questions, to ask directly if this is a service that they can provide. Top Tip: Tyne Tees locks offer, domestic, commercial, auto, UPVC and emergency locksmith services throughout Newcastle (we also use our local landline as well as an emergency mobile number too)! How much do they charge? We understand the answer to this question can only be determined by how much information you provide and the job in question; however, the most trusted and professional locksmiths will be able to give you an estimate/guide price over the phone, be wary of those who hum and har. How long before they can reach you? Whether this is in an emergency situation or for booking you in to replace your locks or fix any broken locks – check how long you’ll have to wait before someone can reach you. (Making sure you find a local locksmith can help solve this problem). Ask to see their ID. Before you let anyone in your property make sure to ask to see some ID. Trusted and reliable locksmiths will always have things such as business cards, or their vehicles sign is written with their company name. Oh, and don’t be surprised if they also ask you for ID – this is a way to check you are whom you say you are when it comes to letting you back into a property or vehicle! Keep an eye on any extras you’ve asked for and if the job turns out to be a much larger one than first anticipated – no one likes hidden surprises at the end of a job! Once the work is complete, don’t forget to ask for an itemised invoice as well as a receipt to confirm you have paid. So if new locks are fitted, remember to collect the new set of keys and any additional extras that came with it. Check that you’re happy with the work that has been carried out and again if new locks are in place check that you know how these locking mechanisms work. Looking for a Good, Reliable Locksmith? At Tyne Tees Locks, we pride ourselves in the high level of customer service we provide to our customers. There isn’t a job that involves locks that we haven’t been able to help provide a solution for. 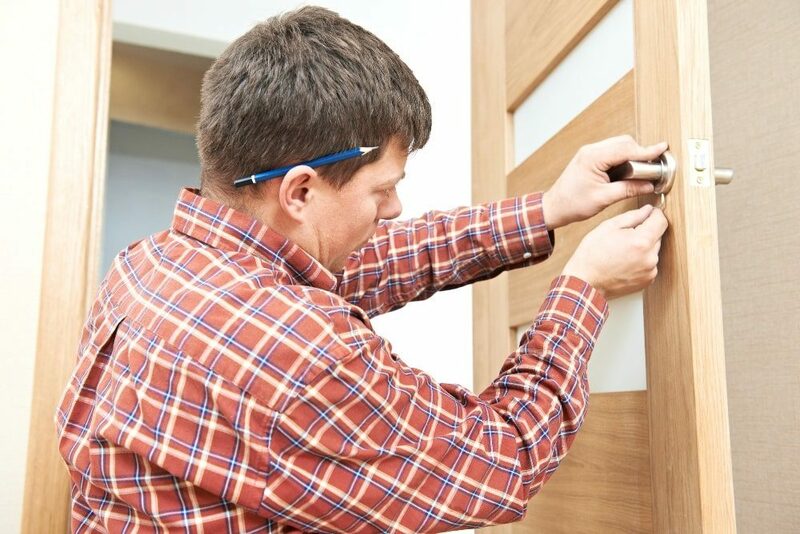 Whether this is guaranteeing to be with you within 30 minutes for any emergency calls, to replacing and fitting new locks as well as fixing and repairing old – we offer a service that truly is second to none. If you do see us passing through Middlesbrough or Alnwick, you’ll see all our vehicles display our company name and number and all our team also carry business cards, as well as wear uniform with Tyne Tees Locks labelled on them! There are quite a few locksmiths in the industry but finding a trusted one and one you can rely on (and who is good) for all your locksmith needs is vital. Looking out for some of our points mentioned above will help as well as finding someone who specialises in what you need. Tyne Tees Locks are available 24 hours a day seven days a week, and did we also mention we clear up after our work is carried out too! Call 0191 438 6595 today!